You can't avoid your problems forever Mio! 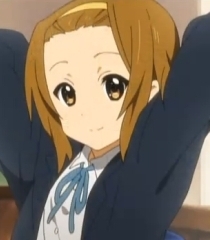 Yui, do you know how to play any instruments? Mugi, serve me some tea. Also, can I have some cake? [laughing tearfully] Hold on Yui, you're getting snot on me!